Is This a Genuine Experiment or the World’s Most Unsubtle Honeytrap? | Gizmodo UK. I think only the criminally insane need apply for this ‘scientific’ experiment! Growing cannabis in your own home should not be a criminal offence | Mail Online. I’ve mentioned and reviewed some established seedbanks on this blog before, and I’ve been meaning to do some more reviews but time has been against me lately! I had time over the weekend, so I was browsing the usual seedbank suspects out there, such as the absolutely enormous Attitude Seedbank, Herbies and one of my personal favourites: Rhino Seeds. These are all established and seem to be doing very well, especially in these austere times. I was also looking for any new UK seedbanks that have started up and I came across this peach of a new website called Freedom Seeds. They are based in the UK and it looks like they have just launched. The site works really well and it was easy for me to find what I was looking for. Along with most other seedbanks they also offer free seeds with every order. They stock an impressive line of quality seeds from the respected seed breeders out there; such as Dutch Passion, Barneys Farm, Dinafem, Big Buddha, plus lots more. What’s more, when I started following their Twitter feed they are offering a special discount of 5% off any seed order – just type in ‘tweetseed’ in the coupon code redemption box when you get to the checkout and it automatically takes the 5% off your order. Although I got email confirmation that my order had been placed, I still called them up soon after placing my order to make sure everything had gone through ok, and the people there were friendly and efficient. Who knows whether freedomseeds.com will keep up with all these offers once their site is more established, but for now I would take advantage of this offer before they pull it! Is Cannabis About To Be Decriminalised In The UK? 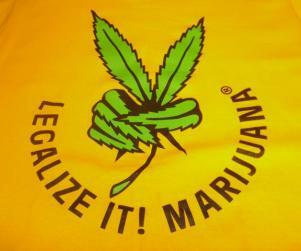 via Is Cannabis About To Be Decriminalised In The UK?.